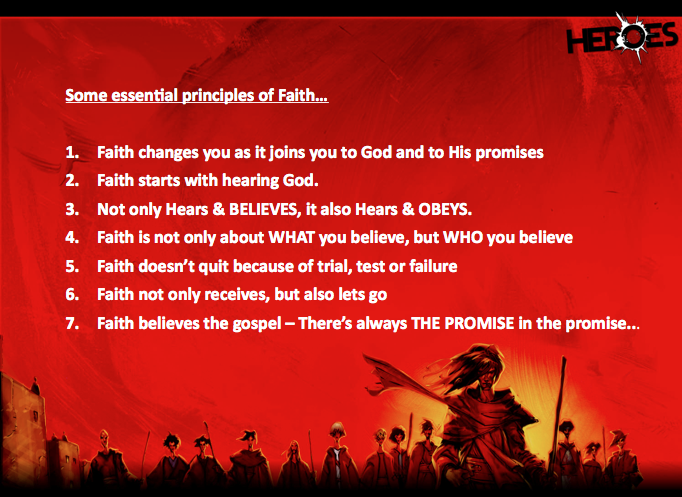 I felt that this past Sunday morning I preached what was probably the most significant message in recent times… It was part of our HEROES series, from the life of Abraham, revisiting some key principles of the lifestyle of faith. If you need a refocus of your calling or get into a fresh faith walk stride, then I guarantee that this is well worth listening to. – The video messages + notes are now ALL FREE on this website. Raising more faith Heroes this Sunday!